Our client’s pages have more customers and achieve more sales via our Facebook marketing services. 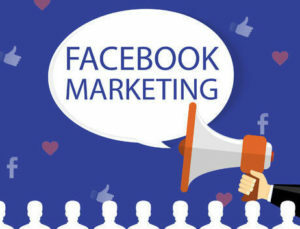 Our experienced Facebook staff know to create effective Facebook strategies for different businesses. Our team will increase and optimize the audience. We assure that your page most suite for your business and brand. We encourage them to get a sale via Facebook page consequently. We post relevant business contents, socially contents, geographically contents and promotions in images and video format. We assure that each campaign is bespoke. Our graphic designers will make sure your Facebook page is great! Our experienced Facebook Ads team will work with you to create, build and optimize Facebook Ads campaigns to achieve your Facebook Ads goals. Call us now on +9471 587 7632 then we can identify what do you need? And what don’t you need for your Facebook marketing?